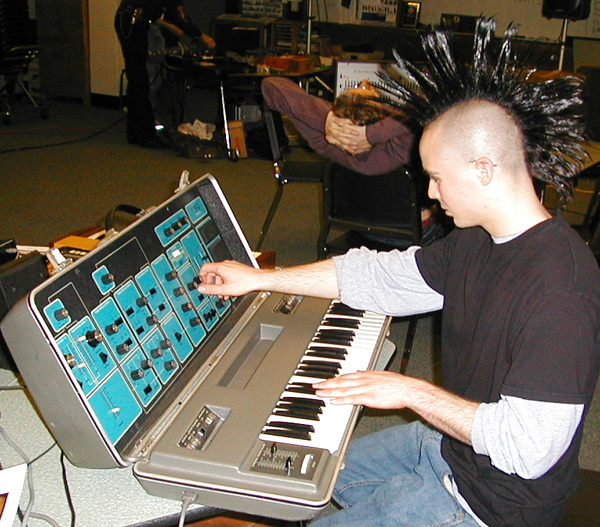 Ben Karnavas at John Terrey's Moog Sonic Six. 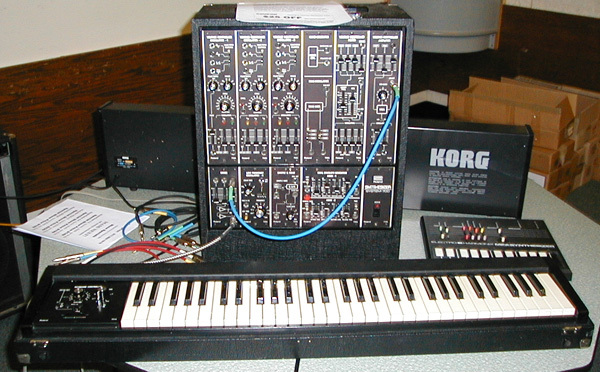 David White's Roland 700 Laboratory model. 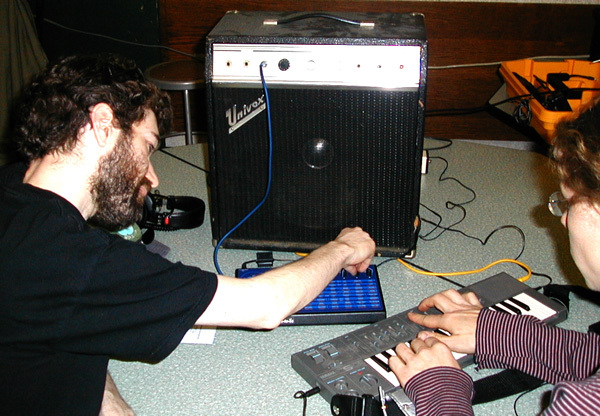 Left: David White and his Moog Liberation. 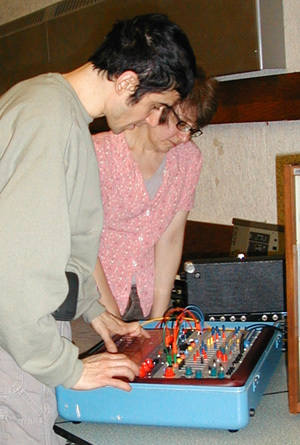 Right: Mark and Ramona with Eric's Buchla Music Easel. 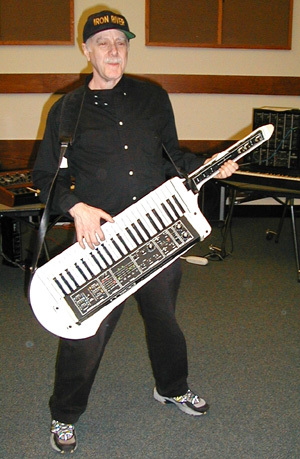 Dean with an Evolver and Revtor with a CS01. 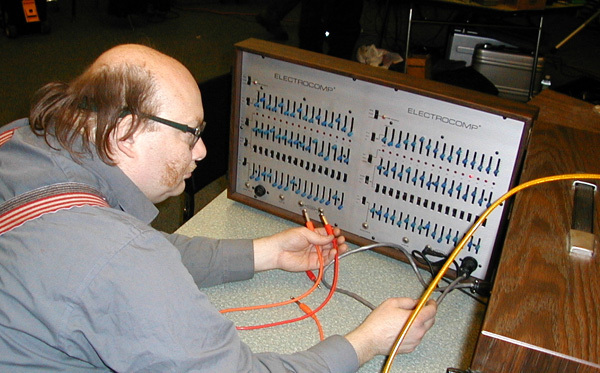 David Wilson and the New England Synthesizer Museum's Electrocomp 400/401. David also brought the museum's EML-101, EML-200 and EML-300. EML was well represented since John Terrey brought his EML-500. The one-of-a-kind ARP Guitar Synthesizer. 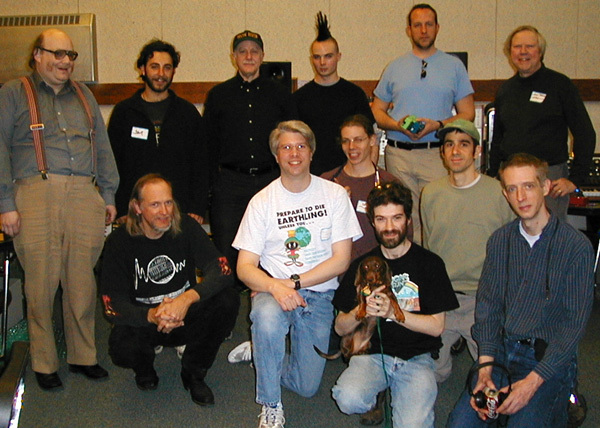 Copyright 2004 John V. Terrey. Unauthorized use of any of the contents is in violation of copyright law.